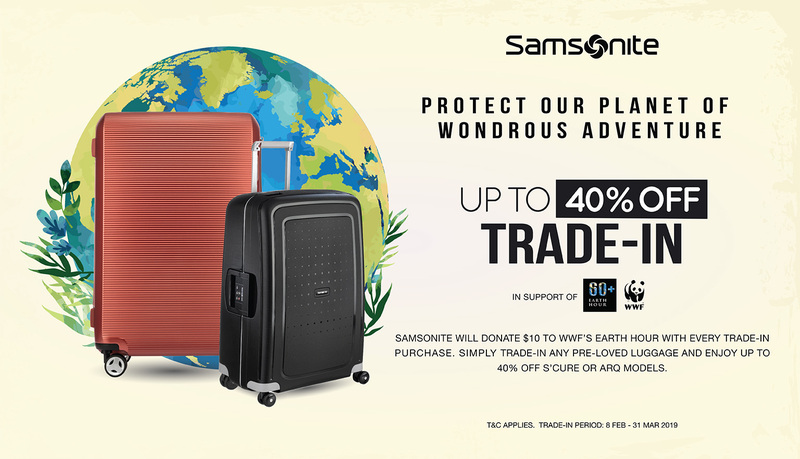 House of Samsonite will be supporting WWF’s Earth Hour in their luggage trade-in this year! From now to 31 Mar 2019, simply trade-in any pre-loved luggage and enjoy up to 40% off on S'Cure or ARQ models. $10 will be donated to WWF’s Earth Hour with every trade-in purchase. T&Cs apply. Check in-store for details. House of Samsonite is located at North Wing, #01-463.